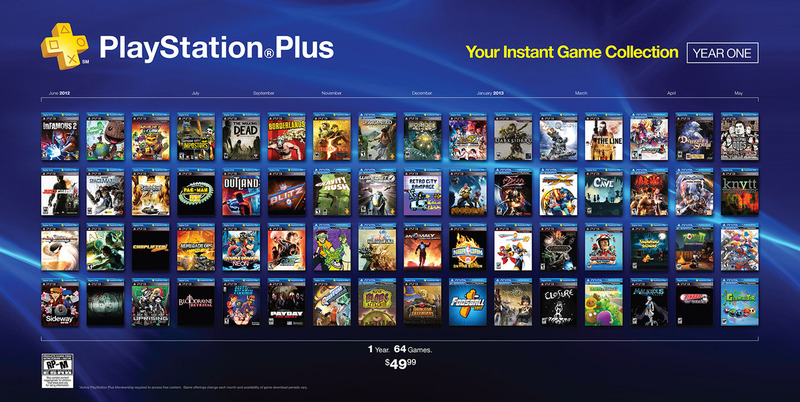 Playstation Plus worth the cash? Statistics say yes. And to be honest i’d have to agree with them. Since users on the PS3 can buy a game and immediately start playing online (a service that is paid for on the xbox 360) you can understand why some would be hesitant to dole out that extra money for a +membership account. But let’s get down to the nitty gritty and see if the hesitation should be put to bed. It was revealed by Sony that in the first year of it’s plus program‘s Instant Game Collection. A total of 64 games were available free of charge at different times for the first 365 days. The Instant Game Collection provided over $1,000 dollars worth of free games. Which is an astounding 20 times more then the cost of the year subscription. View the list of free games offered in the first year below. This list also did not include the 4 free games offered from the infamous Playstation Network outage/leak. An “external intrusion” forced a shut down of the PS Network for 24 consecutive days. And approximately 77 million account holders personal information was stolen. After the incident a “Welcome Back” program was instilled, players on the PS3 network got a month free of PS+ and had the opportunity to choose 4 games (2 PS3 and 2 PSP) out of a list of 9 (different games were available in different regions). May not quite have been the greatest compensation ever. But more free games are more free games. if you did not partake in this pretty impressive deal, Never fear. Sony is looking to keep this free game momentum going with the sophomore year of the service. 18 more games for the PS3 and Ps Vita will be offered to renewing and joining members alike. Plus more titles to be added to the Instant Game Collection monthly. The games available for download are as follows. What’s your thoughts on this? do you have the service? Do you think it’s worth it? Helpful information. Fortunate me I discovered your web site unintentionally, and I am shocked why this accident did not took place in advance!